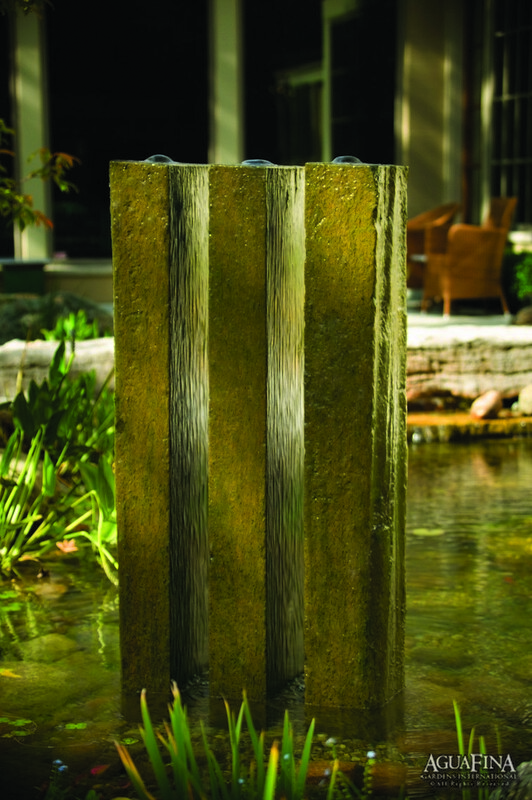 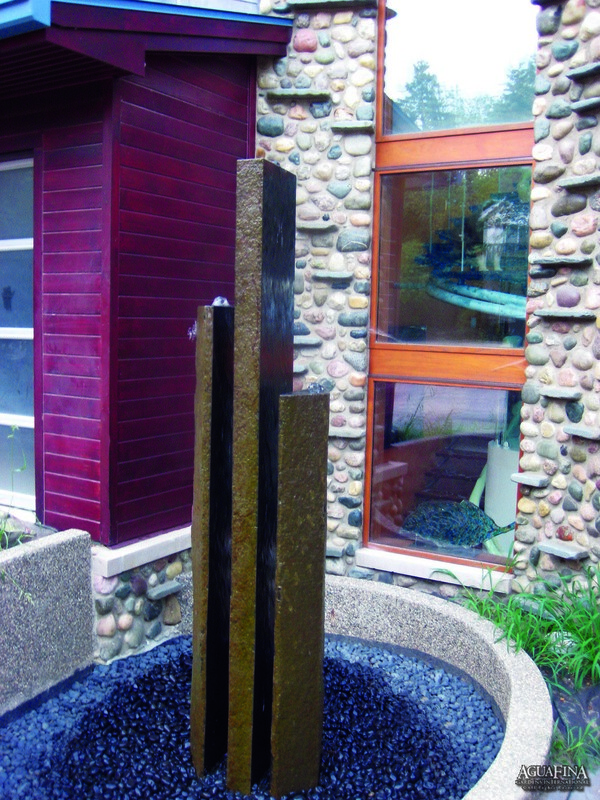 Each fountain is created from a single piece of basalt and carved into three distinct pieces. 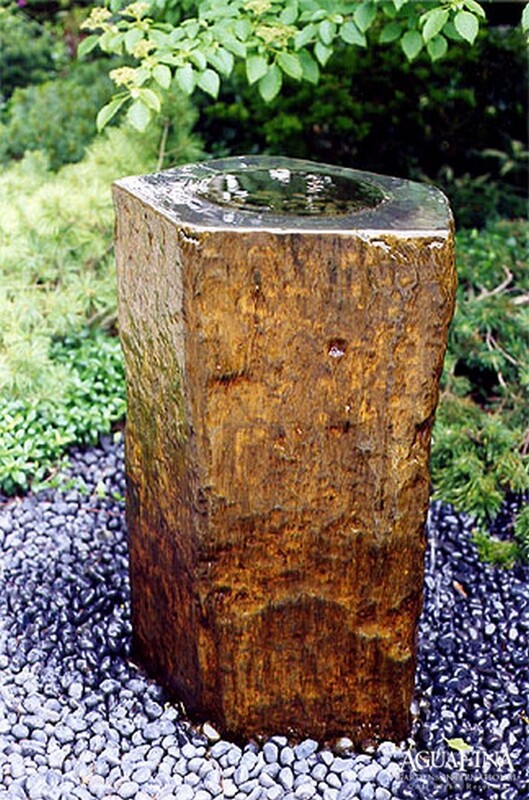 The interior of the stone is then highly polished until a reflective mirrored surface is produced while the outside of the stone is left in its natural state. 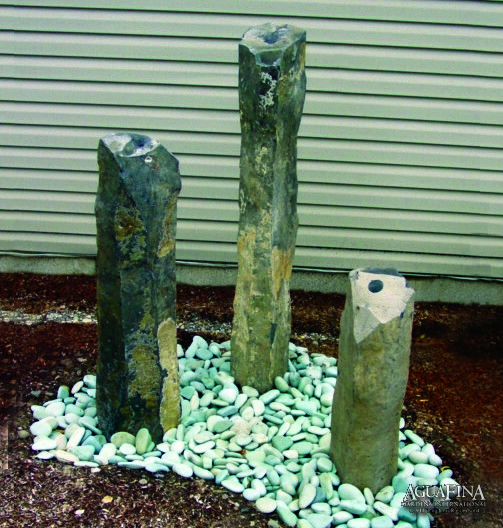 This contrasting combination creates an interactive piece that depending on the angle that the piece is installed and/or viewed from, the stone appears to be translucent by reflecting its surroundings. 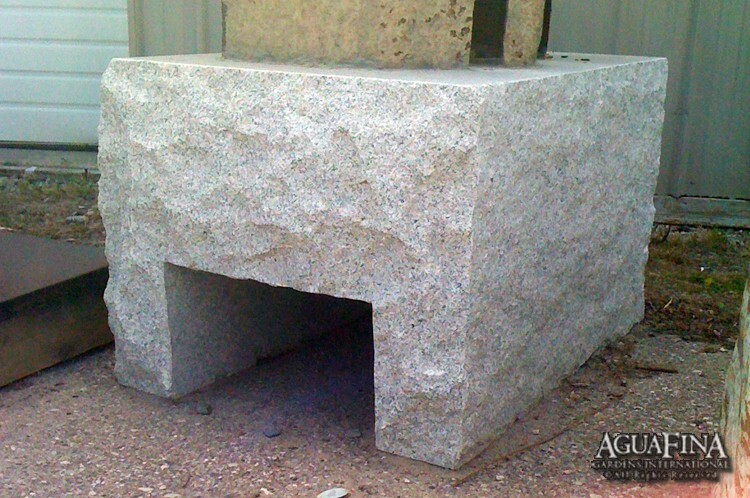 The top can either be cut to give a more geometric shape, or left natural and either polished or unpolished. 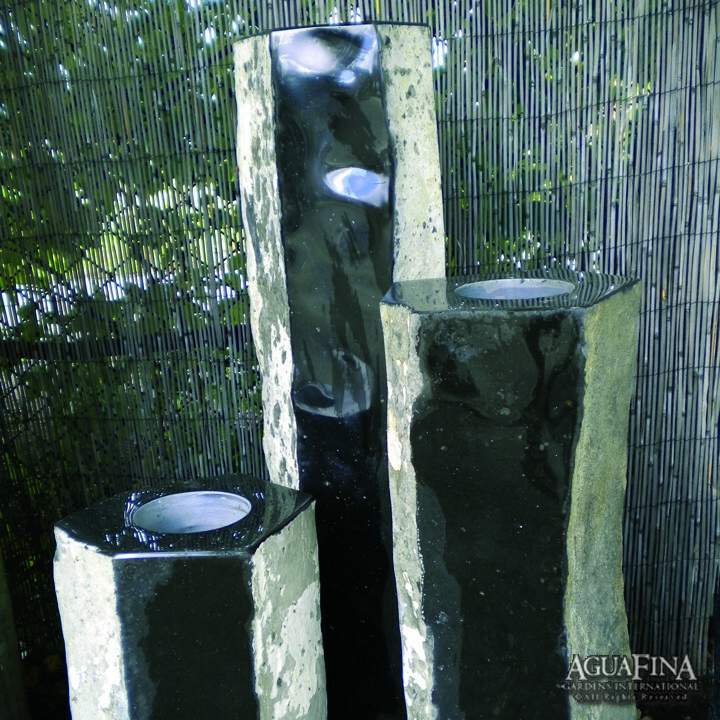 These fountains light extremely well at night, casting multiple shadows and reflections.